Very minor styling changes are possible, but not probable. The front fascia and grille could get slight revisions, but barring an unexpected Corolla Furia Concept-influenced aesthetic upgrade, the 2016 version of Toyota’s popular compact car will look like a repeat of the 2015 edition. This small sedan was fully redesigned for model-year 2014 and was virtually unchanged for ‘15. Why wait for the 2016 model? If you think Toyota is fast enough on its feet to follow company president Akio Toyoda’s challenge to his design teams to build cars that deliver a more emotional driving experience. Like the ‘15, the ‘16 will be roomy, reliable and thrifty. It isn’t likely to be beautiful or exciting – unless there’s a rapid response to Toyoda’s challenge. 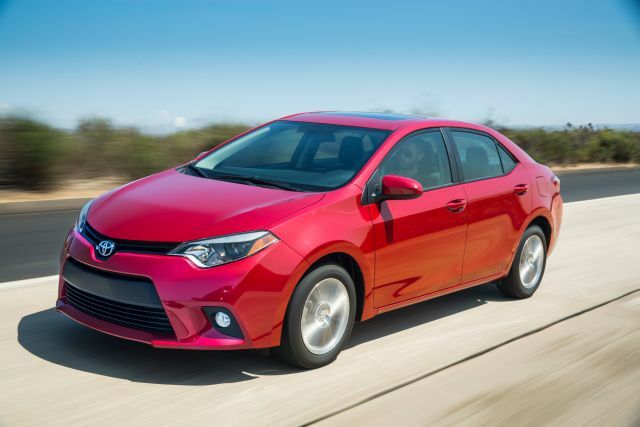 If you are of a more practical mind that says, “I’d rather pay less for a Corolla I can buy today.” We’re betting the 2015 and 2016 will be virtually identical. Buy now and avoid the almost inescapable model-year price escalation, not to mention the exaggerated tag fees and insurance rates associated with the latest model. A ’15 in entry level L or mid-level LE trim could be the winning solution for your value-based automotive needs. It is highly unlikely that any major styling alterations will be taking place for the 2016. Unless the Japanese automaker makes a serious break from tradition, the radical 2014 redesign that did away with the boxy shape and hum-drum appearance will hold fast for several more model years. In all likelihood, the five-passenger compact sedan will continue to be offered in a basic L version trim level, the most popular mid-level LE trim level, the environmentally conscious LE Eco trim level, and the sporty-tinged S trim level. All trim levels are expected to offer innovative LED lighting that provides optimum visibility and high-line flair. The S trim level, geared towards the driving enthusiast in all of us, may again be distinguishable by the black-out grille, heated power adjustable sideview mirrors and, along with the LE Eco, a small deck lid mounted spoiler. All trim levels except the base L should again be available with two additional sub-packages called Plus and Premium. No foreseeable changes are on the ’16 agenda for an interior that has been called everything from bland to stylishly simplistic. It would be a stretch to assume that this small car would stray far from the mechanical foundation that has proven so successful in the past. The line is rapidly becoming one of Toyota’s best sellers, globally. The only engine choice is likely to be the 1.8-liter four-cylinder that delivers 132 horsepower and has a time tested reputation of durability and longevity. Standard equipment with the four-cylinder engine is assumed to be the continuously variable transmission (CVT) for LE and LE-Eco trim, with a six-speed manual transmission or a four-speed automatic transmission offered as an option. The L and S trim levels are most likely to list the six-speed manual transmission as standard equipment, with the four-speed automatic as an option on the L and the CVT as an option for the S. The LE-Eco is projected to receive an upgraded version of the same 1.8-liter engine, tuned to provide 140 horsepower with a higher fuel efficiency rating. Fuel-economy ratings are expected to remain virtually unchanged, assuming that no major aerodynamic improvements are undertaken. L and S trim level cars are estimated to rate 28/37/31 mpg city/highway/combined, when equipped with the six-speed manual transmission and 27/36/31 when equipped with the four-speed automatic transmission. Equipped with the CVT, L, LE, and S trim level cars should rate 29/38/32 with highway mileage dropping to 37 on CVT equipped S and S-Premium trim levels, due to larger, heavier wheels. Projected fuel economy numbers for the LE Eco trim will also vary with wheel options. The LE Eco in base trim rolls on specially designed low-rolling resistance 15-inch tires and steel wheels with which it manages 30/42/35. The Eco Plus and Eco Premium trim levels use heavier 16-inch alloy wheels and fuel efficiency is decreased to 30/40/34. You can safely anticipate that the L trim will list air conditioning, power accessories, Bluetooth connectivity, LED headlights, a tilting and telescoping steering column, height adjustable driver’s seat, split bench rear seat, and a four-speaker audio system with steering wheel mounted controls, a CD player, and an iPod interface as standard equipment. LE trim adds intermittent windshield wipers, a rearview camera with dash mounted 6-inch LCD monitor, keyless entry, metallic interior accents, an upgraded audio system with six-speakers, automatic climate control, and heated sideview mirrors. The LE plus should make upgraded alloy wheels and fog lamps available with the LE Premium trim possibly yielding premium vinyl seating. The LE Eco is likely to include the features of the LE with a rear spoiler and enhanced aerodynamic improvements. The LE Eco Plus may add chrome belt line trim to the exterior, fog lamps, alloy wheels, and an Eco driving mode with manual select switch, with the Eco Premium trim contributing premium vinyl upholstery. The S trim level will probably add body-colored sideview mirrors with integrated turn signal indicators, a chrome grille, front sport seats, upgraded instrumentation, and a rear spoiler. S Plus trim adds a firmer suspension system, larger alloy wheels, and rear disc brakes, with the S Premium yielding vinyl seating. Estimated base prices are $18,100 for the entry-level L model, $19,990 for the volume-selling LE, $20,000 for an LE Eco, and $21,500 for the sporty SE. 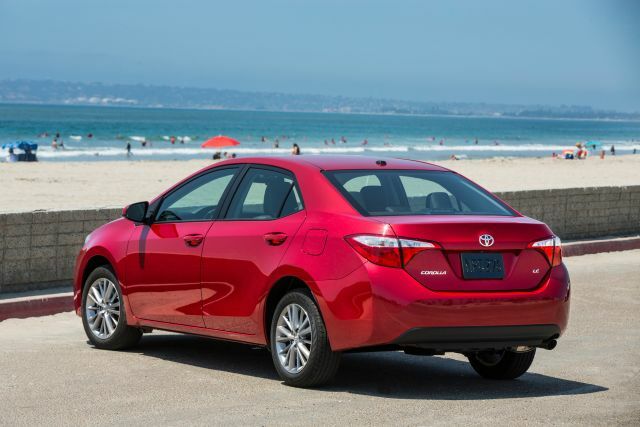 These estimates include the manufacturer’s destination fees, which have been running around $810 for the Corolla. To these base prices, add a reasonable $600 or so for automatic transmission on the L model and, in a twist, about $900 to exchange the CVT on a top-line S model for a six-speed manual. Ford Fusion, Hyundai Elantra, Mazda 3, Chevrolet Sonic, Honda Civic, and Kia Forte’. Corolla cars sold globally are manufactured in an economically challenged area of Mississippi, called Blue Springs. Toyota’s willingness to invest in this otherwise impoverished community through a state-of-the-art manufacturing facility that employs thousands of workers has paid off, especially since the successful redesign of the popular Corolla in 2014. Expect Toyota to continue building on this platform for the next several years as they fine tune one of their best selling models.